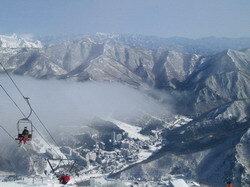 The mountain chain, called the Japanese Alps, it is really very similar to the European mountains. Japanese Alps formed by volcanic processes, and extend in the central part of the main islands – Honshu – from north to south. In the northern part of the mountain range is situated National Park Chubu-Sangaku belonging to the prefecture of Nagano. 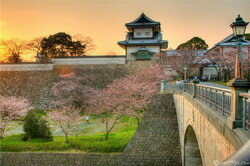 The area is well-known throughout the world for the Olympic Games that took place in Japan in 1998. There are excellent ski resorts, as well as a base for training professional skiing . 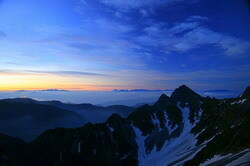 During the summer, Nagano offers rich opportunities for mountaineering and hiking. Nagano City is very interesting for its attractions, especially the temple Zenkō-ji , which was founded more than 1400 years ago. This temple is considered to be the central sanctuary of the Buddhist religion in Japan. 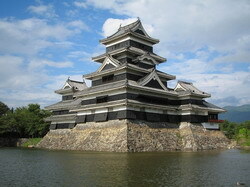 In the city of Matsumoto is another historical relic – Matsumoto Castle , famous for its main tower – the walls in her black and it is believed that this is why the castle was named the “crow castle”. The majestic and gloomy castle is simply mesmerizing beauty. During a tour in Japan you must visit another city – Kanazawa , which was originally a castle settlement, and keeps a lot of interesting sights. The town is different from other regions of the country for its peaceful history – there were no wars for over two centuries, from 17 to 19vv.Researchers believe that the reason for this deep passion for the art of the inhabitants of Kanazawa, in particular theater, but as well as the art of creating flower arrangements – ikebanoy. City Park is considered one of the masterpieces of landscape gardening art in the country. In a half-hour drive from Kinadzavy is Eiheiji temple , which is still the main sanctuary and the home of the sect followers Soto – one of the directions of Zen Buddhism. The temple is famous for the fact that he founded Dogen – the father of Japanese Zen Buddhism, brought to their knowledge and belief of the Chinese. 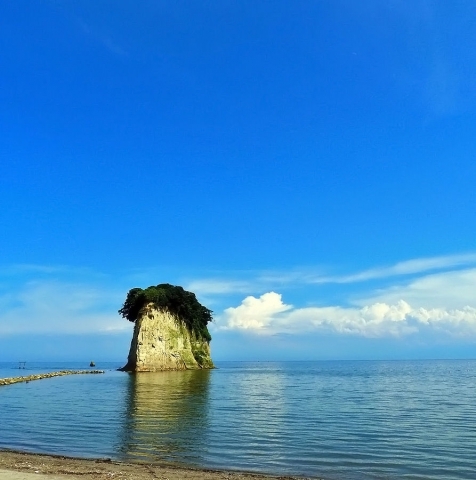 Enjoy magnificent sea views can be on the Noto Peninsula , which are easily accessible from the city Kinodzava. The original relief of the shoreline creates a double effect – on the one hand the banks are steep and precipitous, on the other – a gentle and rich cozy coves. There are many traditional fishing villages, whose inhabitants have kept intact the ancient traditions and customs of life. Start in Japan, including the journey from Tateyama-Kurobe Alpine in Japanese – is a great opportunity to enjoy the splendor of the mountain scenery, amazing in its beauty and pristine.The central part of the mountains, in the length of three kilometers, will bring a lot of unforgettable impressions. You can admire the mountains on this route like traveling by bus or a ride on the cable car. 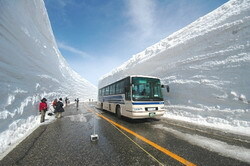 The most snow region is Japan Niigata , which can be reached in two hours from Tokyo. A little further, about an hour’s drive from Niigata, the traveler will be able to plunge into the world of endless rice paddies, outstretched at the foot of the mountains. This is an amazing place – the island of Sado , considered one of the most beautiful places in Japan.